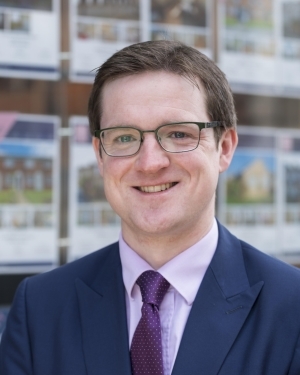 Ben is a member of The Royal Institution of Chartered Surveyors , Fellow of the National Association of Estate Agents and Member of the Association of Residential Letting Agents. 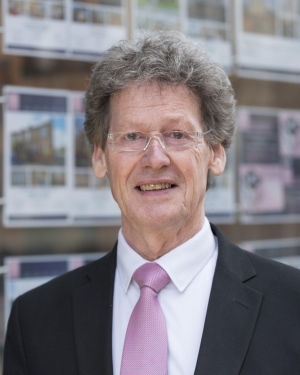 Ben has over 35 years Experience in estate agency and is a Past President of the York and District Estate Agents and Valuers Association..
Having been ‘on the fringe’ of Hudson Moody since its conception in 1996; Tarnia joined the company officially in 2013 as a Director. As well as keeping Ben organised, she can be found manning the phones, keeping the software and website up to date and assumes a special responsibility for New Build developments. As Branch Manager she also deals with HR and tries to ensure all clients receive the very best service and levels of customer care. With all four children now involved in the family business: Tarnia is never far away. Jane works within our City Centre office, as Sales Manager, she has a wealth of experience in both the Sales and Lettings market in York. As well as overseeing the day to day running of the office; Jane has the additional responsibility for our New Developments and works closely with clients and developers from reservation, often off plan, to completion. She’s always happy to offer advice on anything from the choice of tiles to final handover. Rose brings with her a customer service background and much appreciated IT skills. Rose works closely with her clients to achieve the very best results with a smooth marketing process and speedy conclusions to the sale.She is an integral member of the team . Jo joined the team in 2018 with 10 years of sales and management experience. As a local, Jo has a great knowledge of York and the surrounding villages. She is passionate about customer service and ensuring her clients have as stress free sale as possible. Rory has been involved in property since 2003 when he joined the Hudson Moody team as a sales negotiator. 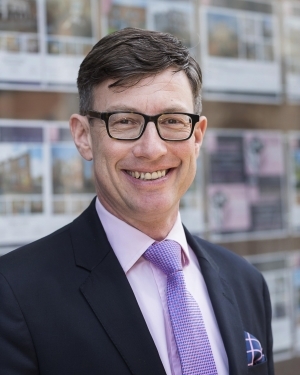 His role includes negotiating sales, keeping in touch with clients, keeping an eye on the progression of house sales and, at times, carrying out viewings. Rory is mainly responsible for organising the advertising of properties in the local paper and magazines and has, over the years, developed an invaluable close working relationship with The Press, Mayfair Collection Magazine and Yorkshire Living Magazine amongst others. Emma works as a sales negotiator in our Micklegate branch. She is known for her ability to keep amazingly calm and organised in what can be a very busy office. 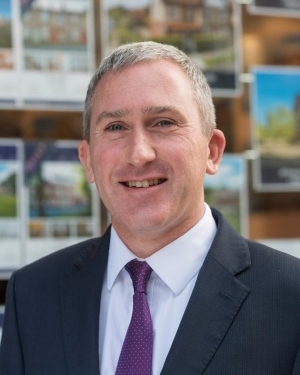 Alex has 15 years experience in the property industry working for a well-established Residential Estate Agency in Surrey before working for Barratt Developments the national house builders in York. He joined Hudson Moody in 2010 as a Personal Agent specialising within rural villages to the east and south east of York. His favourite part of the job, aside from successful sales is meeting new people and striving to provide both a warm and professional service. Catherine joined Hudson Moody two years ago bringing with her nearly 20 years of experience in customer services and office management. She now enjoys the role of sales negotiator – nurturing sales from start to finish. Her favourite part of the job is meeting people, getting to view the wide variety of properties and seeing the smile on the buyers face when she gets to hand over the keys. Ruth has been working as a manager with Hudson Moody since 2003 and started managing the Poppleton office 3 years ago. After growing up and still having family ties in the village it was the perfect fit. Working in a local village office enables a lot more face to face contact with our vendors and applicants, and in an industry where more of our work is carried out online, this can be very rewarding especially when working with our older clients. Tim is responsible for the day to day management of our Lettings department and has a wealth of knowledge within this sector . Grace is a senior negotiator in our Micklegate branch and has completed her NAEA and ARLA qualifications. Grace is organised and great at sorting out the day to day niggles which go with property management. Stuart joined the company in 2003 and carries out the majority of accompanied sales and lettings viewings for Hudson Moody. He is also responsible for undertaking the periodic inspections for our managed lettings properties. Stuart can boast a wealth of local knowledge and experience and is known for his ‘nothing is too much trouble’ attitude. Sarah works as our accompanied viewer showing our properties to potential buyers and tenants . Simon is responsible for the day to day management of our finance function and assists with the strategic development of the business. Simon joined Hudson Moody in 2007, his role involves budget and cash flow management, management information and administration of the client accounting function. Simon is AAT qualified and has over 20 years’ experience in Management Accounts preparation, he has developed a solid understanding of the business which allows him to play an important role in most areas of Hudson Moody today. Simon is based at our Poppleton office.